Want to make your wireless connections safer and faster? We review nine free Windows apps that can help you monitor performance and safety at home, in the office or in the wild. If you believed the vendors, you'd think Wi-Fi was simple: Turn on your computer or other device, hop on the Internet and you're set to go. But as we all know, life isn't quite that easy. Your home or office network can have dead spots where devices can't seem to connect, or where the connections get slow or flaky. Public hotspots can make you prey for hackers and snoopers. And when you are at a hotspot, you might need to share your connection with your other devices, including smartphones and tablets. While there is no way to immediately solve all the problems associated with wireless connectivity, there are applications that can make things better -- and many of them are free. 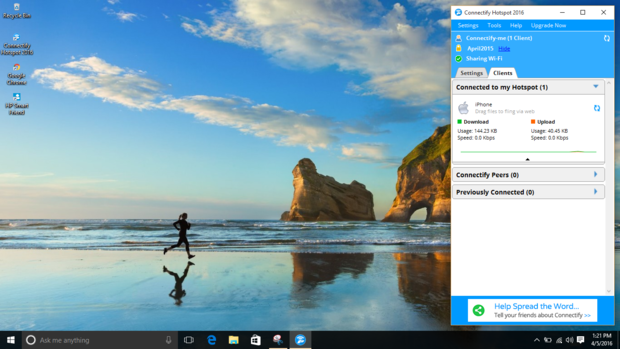 I've rounded up nine free pieces of Windows software that can go a long way toward helping you solve your Wi-Fi issues at home, in your office or on the go. If you want to get serious about troubleshooting your Wi-Fi network, HeatMapper may well be your best bet. 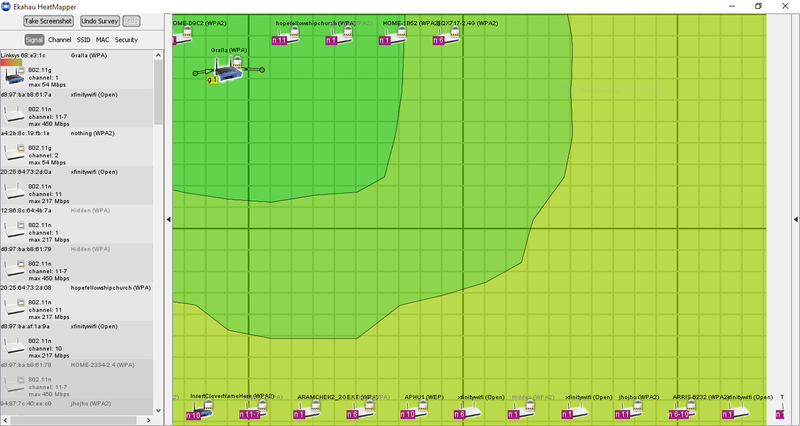 To get the most out of HeatMapper, you'll have to do a bit of work, so be prepared to put in some time. Run the program and then walk around the area your network covers (while carrying your laptop). HeatMapper creates a heat map showing you the strength of Wi-Fi coverage. You can then reposition computers away from areas of low coverage and place them where coverage is better, or plan to use your smartphones and tablets in high-bandwidth areas. HeatMapper is also useful if you're just starting to build your network, because you can try positioning your router in various locations and see which offers the best all-around coverage. It does more as well. If you have a wireless network with more than one access point, it locates each for you. It also detects the security settings on all access points. Ekahau HeatMapper creates heat maps of Wi-Fi networks, showing areas of low and high coverage. HeatMapper is the free version of a more powerful Wi-Fi surveying tool called Ekahau Site Survey. HeatMapper lets you do surveys for only 15 minutes at a time; Site Survey gives you unlimited time, along with additional features. Pricing varies according to the size and complexity of your network. If you don't want to go through the hassle of creating a heat map of your network, and would prefer something simpler and more straightforward to use, you should give Acrylic WiFi a try. It locates every network within range of your laptop and displays a tremendous amount of information about each: the network name (SSID), MAC address, channel it uses, type of encryption, manufacturer, type of 802.11 (b, g and/or n), maximum router speed, manufacturer and more. 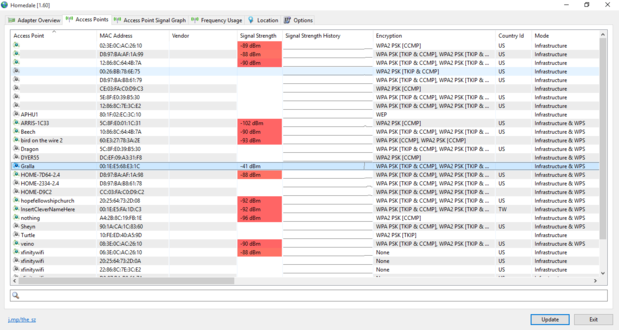 One especially useful feature is the signal strength display for each network, which includes an RSSI (Received Signal Strength Indicator). It also shows a moving graph of the strength of each network over time. So if you want to find dead spots, strong spots and so on, you only need to walk around with your laptop and look at the signal strength as you move. I found it a tremendous help with my home network. I tested signal strength throughout my house by running Acrylic WiFi Home, and found that moving the router only a few feet made a surprisingly significant difference in signal strength for various locations. I can now finally stream Netflix, Amazon Prime Video and Hulu to my living room TV without the glitches and delays that have plagued me. Acrylic WiFi Home displays the strength of multiple Wi-Fi networks. If you try Acrylic WiFi Home, I suggest running it in Advanced Mode (get there by clicking the settings icon in the upper right of the screen and selecting Advanced Mode). This lets you see what channel your network uses to broadcast on and which nearby networks may also be broadcasting on that channel (and the strengths of those networks). As a result, you'll be able to find out whether there's any interference from other networks, and then configure your network to use a different channel if needed. If you want something even simpler than Acrylic, give Homedale a try. It's a stripped-down Wi-Fi analyzer that runs as an executable -- no need for installation. It finds all nearby Wi-Fi networks and shows their SSIDs, MAC addresses, signal strength and encryption type. Homedale is a simple, stripped-down tool for checking your network’s signal strength, as well as the signal strength of nearby networks. Make sure to click the Update button at the bottom right of the screen or it might not show anything. Also, try the Frequency Usage tab, which shows you all the networks grouped according to the channel they use, and their relative strengths. That way, you'll be able to see whether your network has too much interference from nearby networks. As you no doubt know, every device that connects to the Internet has its own specific MAC address (such as 00-0C-29-C4-FD-C3). One way to keep your network safe is to use MAC address filtering -- in other words, configure your router to ban all devices from your network except those with a specific MAC address. 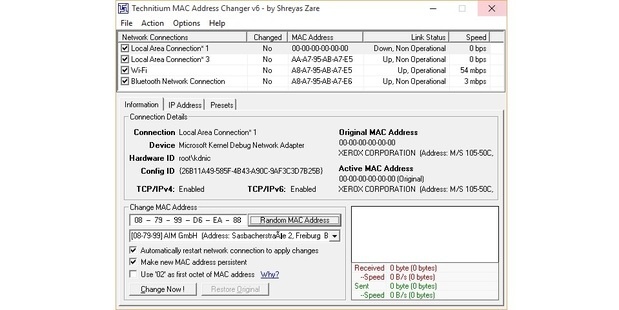 Technitium MAC Address Changer helps you test your network security by changing the MAC address of your Windows PC. Technitium MAC Address Changer is a great way to check whether the security is working. It lets you change your computer's MAC address to one that you haven't configured as allowed on your network. Once you do that, you can check whether your router blocks it. Technitium makes it easy to then reset the MAC address to its original setting. Products such as Acrylic WiFi Home report on your wireless network's signal strength, but if you want to know about real-world throughput, download the TamoSoft Throughput Test. It sends TCP and UDP data between two Windows computers on the network and measures throughput in both directions between them, as well as packet-loss and round-trip time. Setup can be a bit confusing. The application installs both a client and a server on each machine. You have to first decide which machine you want to be the server and run the server installation on that. The server will show the IP address and port number to which the clients can connect. Next, install the client on the other machine or machines on the same network, type in the IP address and port of the server, and click Connect. The computer you've designated as the server will continuously monitor their throughput, packet loss and round-trip time, displaying the information as a moving graph. 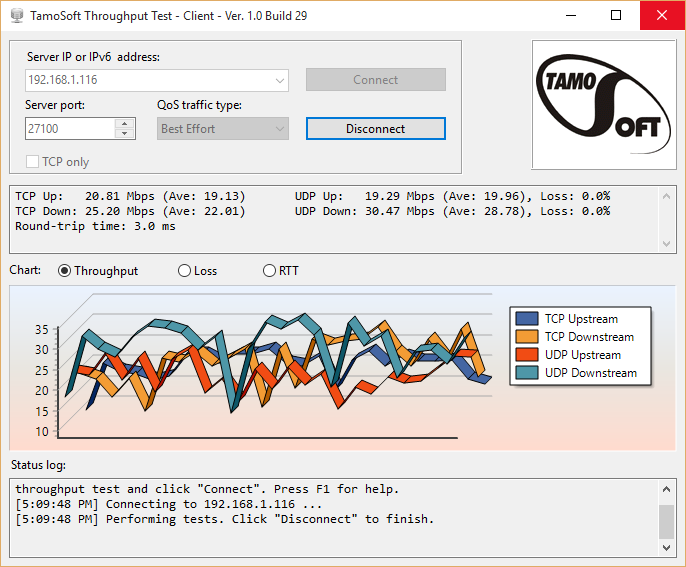 Tamosoft Throughput Test displays the throughput between two computers on a Wi-Fi network. As with Acrylic WiFi, TamoSoft's application is especially useful for locating routers or other devices and finding dead spots in a house or office space -- I found instances when I took a single step and the throughput dropped drastically. There's also a Mac version available, so you can test throughput between Windows and Mac computers as well. If you're looking for the simplest and most basic test of your Wi-Fi speed, then Ookla Speedtest is the way to go. You don't need to download any software (which means this particular app works just fine for Macs as well). 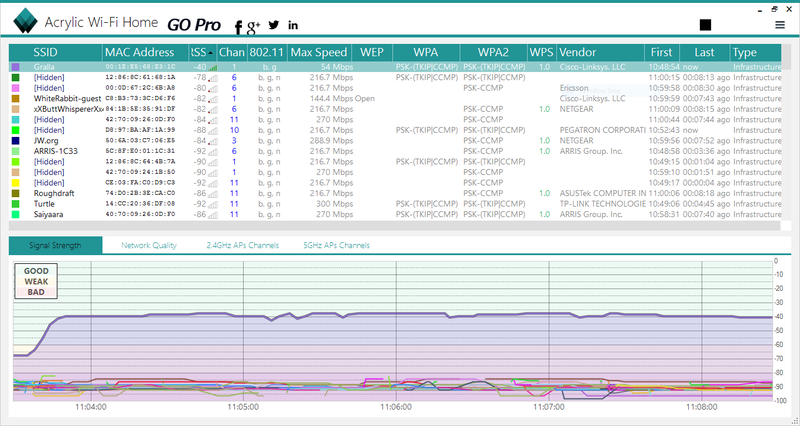 Just head to the site, click "Begin Test" and the site tests your upload and download speeds. 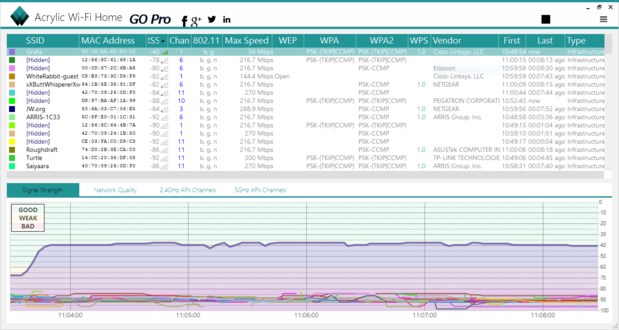 It's a great tool for getting quick-and-dirty information about your network's throughput. Speedtest is a simple method for testing your upload and download speeds. It's also useful for finding out whether a slowdown is being caused by your wireless router or your Internet provider. Unplug your wireless router, connect a computer to the modem with an Ethernet cable, run this test and check the results. Next, plug your router back into the modem and do the same test using a wireless device. If you see that your Ethernet connectivity is normal, but your wireless bandwidth is extremely low, the slowdown is likely being caused by your router. If you find yourself sometimes using your computer via an open public hotspot, you need a VPN -- which protects your privacy by encrypting your online communications -- to keep you safe. And if you're using a for-pay hotspot, there is a way to keep the cost down if you've got more than one device. There are plenty of for-pay VPN services, but if you don't need to use one frequently, you can get by with a free one. TunnelBear is one of my two favorites because of its simplicity. First, it offers clients for Windows, Macs, iOS and Android. Better than that, though, you can run it without downloading a client -- just use a Chrome or Opera extension. TunnelBear is an easy VPN to run: You can use a Chrome or Opera extension instead of a client. Run the extension, turn on TunnelBear and you're protected. When you want to stop, just turn it off. You get 500MB of VPN access free every month; if you want more than that, it costs $6.99 per month. 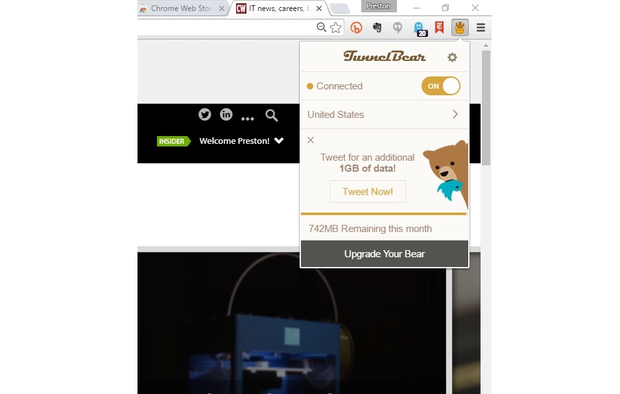 If you use TunnelBear regularly, you'll find that 500MB a month doesn't go very far. So if you don't want to pay the $6.99 per month, CyberGhost is a good alternative -- although with a few caveats. CyberGhost is simple to use: Just download and install the client. (Note: In order to download the free version of the software, click the Free Download link on the upper-right hand of the CyberGhost home page.) You won't even need to create an account; after you install the client, you're ready to go. There are clients for Windows, Mac, iOS, Linux and Android. There's no limit to how much data you can use, but there is a limit on how long you can use it: After three hours of continuous use, you're disconnected (although you can then reconnect). You may have to view ads in the client as well. 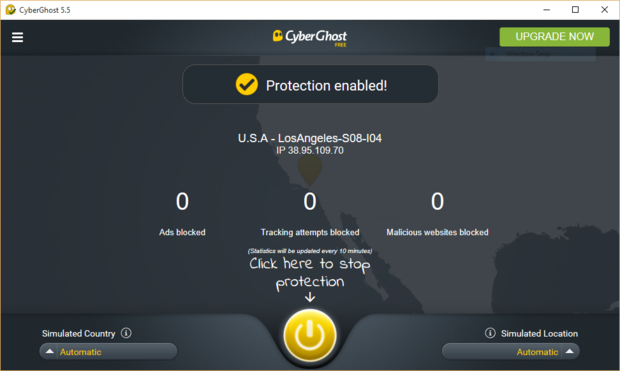 The free version of CyberGhost VPN doesn’t limit how much data you can use per month, but you are limited to three continuous hours of use at a time. And if all of the VPN servers are busy, you'll have to wait in line to start using it. I typically found wait times of less than five minutes, and occasionally I didn't have to wait at all. There are also two for-pay versions -- Premium, which costs $6.99 per month, will work on only one device; while Premium Plus, which costs $10.99 per month, will work on up to five. Both versions are ad-free and offer unlimited data. They also are up to five times faster than the free version. Much as we like to think that free Wi-Fi is available everywhere we go, it's not. Hotels, airplanes and coffee shops may charge fees, and you may need to pay more if you want to connect more than one device. It's bad enough to pay for one device -- do you really want to pay for several of them? There's an easy way around the problem -- turn your computer into Wi-Fi hotspot. Connectify Hotspot Lite offers a way to do it. Connect to a hotspot with your computer as you normally would, and you can then use Connectify Hotspot Lite to set up a Wi-Fi hotspot to which other devices connect -- without additional fees. However, there are a few hurdles you'll need to clear first. 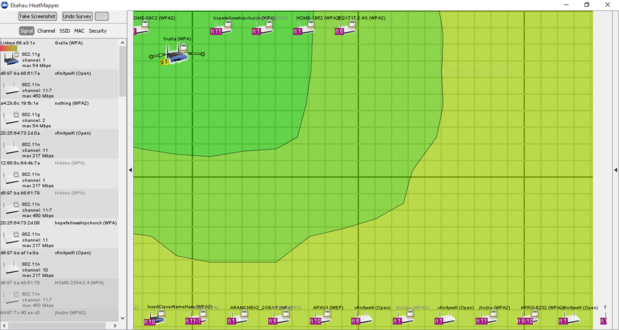 To begin with, the Connectify home page is a bit confusing when it comes to figuring out how to download the free (Lite) version. At the top of the page are two buttons: Buy Now and Download. Click the Download button and install the app; you can then choose the Lite option during installation, which will let you share Wi-Fi hotspots. Connectify lets you share a single Wi-Fi connection with multiple devices by creating a portable hotspot. You won't get other features such as being able to create custom hotspot names, the ability to share a wired connection and more. For that, you'll need to buy one of the for-pay versions that range from $35 to $60. Also note that when you install Connectify, you may get a message saying that Windows Firewall is blocking access to the app. If that happens, click the Allow Access button. Finally, though, you can choose a name and password for your hotspot, click Start Hotspot and then other devices can connect. Connectify will show all of the devices that connect to it and give details about each, including the kind of device, its IP address, upload and download connection speeds, and how much data it has used.